Sprinkler Repair: Is Your Sprinkler System Still In Good Shape? Now that spring has arrived, you may be getting excited to once again have a lush green lawn. 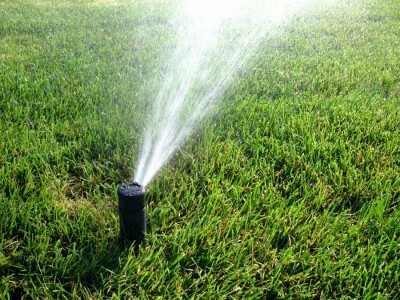 The first step to making this happen is to get your sprinkler system turned on and working again. You obviously know this requires you to have your sprinkler system recharged so that there is water running through the pipes again. However, what you may not know, is what you should be inspecting as far as your sprinkler system is concerned to make sure nothing during the winter messed with your ability to water your grass this spring and summer. Below you can discover the five parts of your sprinkler system that you should check out before you begin using it again. If you can’t spot any breaks in the water line, you will be able to tell if one of them is broken by water bubbling from beneath the grass or puddles forming seemingly out of nowhere in specific parts of your lawn. Double check all of your sprinkler heads in your yard. You want to make sure they are fully in tact and that none of them have been buried by grass, mud or dirt. Sometimes grass can grow over the sprinklers which clogs up the nozzles. Make sure none of your have been plugged or broken since last year. Checking each valve box is extremely important. We find that the most common enemy to valve boxes are little animals who like to get into them and tamper with the wires. There should also be no water in your box. If there is, it is likely you have a break or leak. Replace the batteries in your controller and make sure it is still using the settings you want so that your lawn gets watered as you wish. If you find that something in your sprinkler system just isn’t right now that spring is here, call the experts at A&C Sprinkler! We can help you get your system back to normal in no time.